Two members of the TDP team spent the Christmas holiday in Australia – Nathalie was in Sydney and Eliott was in Adelaide. While quite a bit of time was allocated to keeping up with the all important cricket scores of the 2010/11 Ashes series, both team members continued their quest of all things inter-tidal by investigating the foreshore! 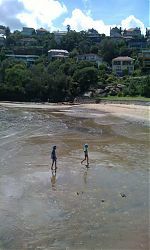 In Sydney, Nathalie and Dan Swift, together with tadpoles Maisy and Jude, explored the foreshore of the Lower North Shore visiting the rocky headlands of Cremorne and Mosman. We investigated the remains of the whaling station established in the early 19th century by Archibald Mosman in the bay named after him and an Eora midden site and Victorian artists camp at Little Sirius Cove. The place name Sirius Cove commemorates the flagship of the First Fleet, the HMS Sirius. Jude collected some artefacts (glass bottle fragment dated 1958!) 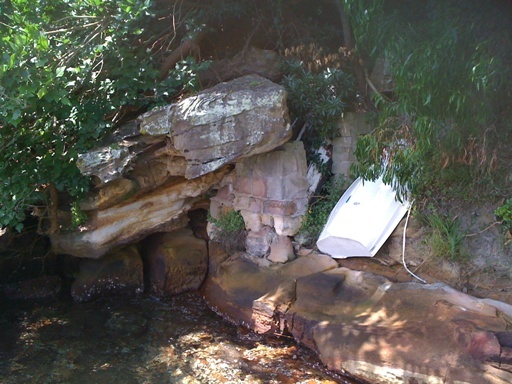 at Shell Cove, and we were all intrigued by the remains of a possible structure spotted on the foreshore at Cremorne…. 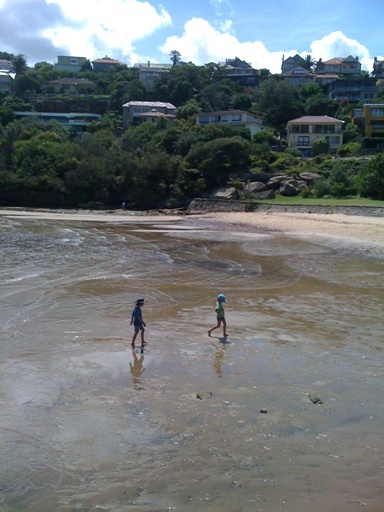 Meanwhile, Eliott was in Adelaide, exploring the foreshore with his tadpole team. 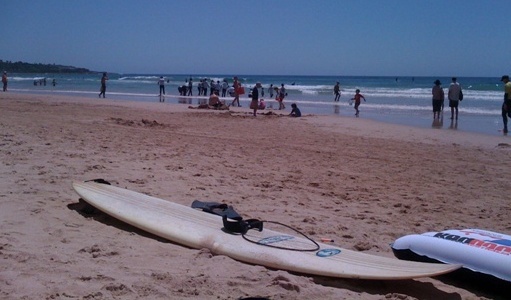 He sent this report – the film was shown as part of the Foreshore Forum.